Mix the first six ingredients together. 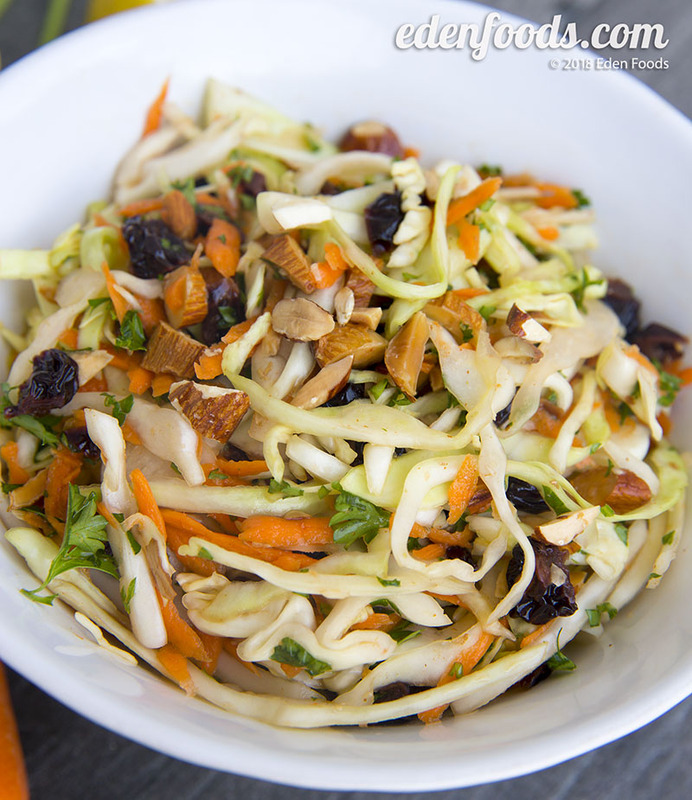 Place the carrots, cabbage, raisins and parsley in a serving bowl. Pour the dressing over and toss to evenly mix. Serve room temperature or chill.